*Most double-wall vacuum insulated stainless steel bottles and containers have a plug of solder on the bottom - this is the point from which air is sucked out to create the vacuum before the hole is sealed. Using a lead-based solder has been the common practice. 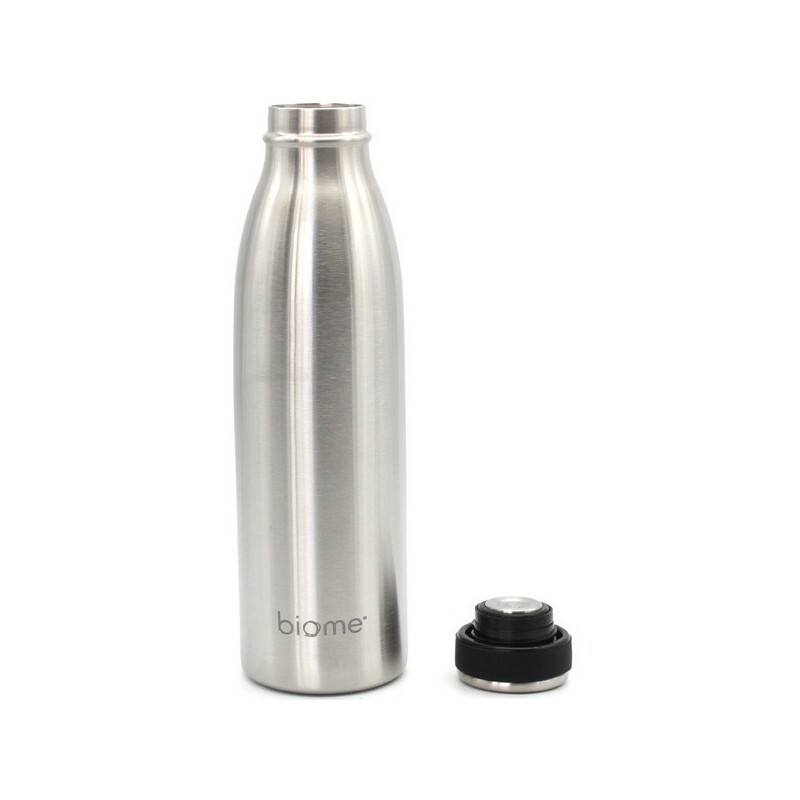 However, Biome's bottles are sealed with a lead-free solder, as the image above shows (the bottle on the right has a lead free solder and the one on the left has a lead solder). Whether this plug point contains lead or not, the spot is commonly covered by the manufacturer with some form of cap, paint or powder coating on the bottom so there is no exposure to any lead. 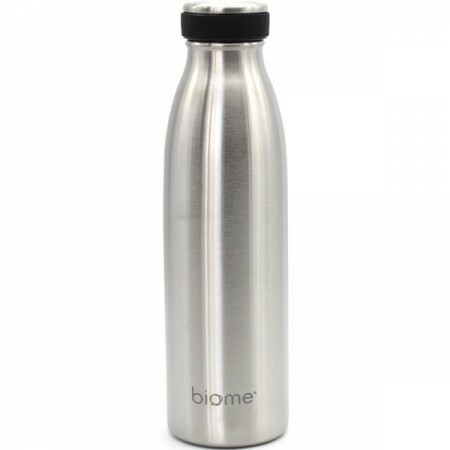 However, lead is toxic for the workers in the factories and the environment, so Biome ensured that no lead was used to make our insulated water bottles. Ditch the disposable water bottles, and choose to reuse. Fill up at home to save money and waste. Stainless steel will last a lifetime, with no harmful chemicals leaching into your drink, as may happen with some plastics. Made from high quality durable 304 stainless steel. Lead free vacuum seal on base of bottle. Ergonomic silicone band around lid, for grip upon opening. Top rack dishwasher safe, hand washing recommended. Double wall vacuum insulation keeps drinks hot for 12 hours and cold for 18. 500ml. 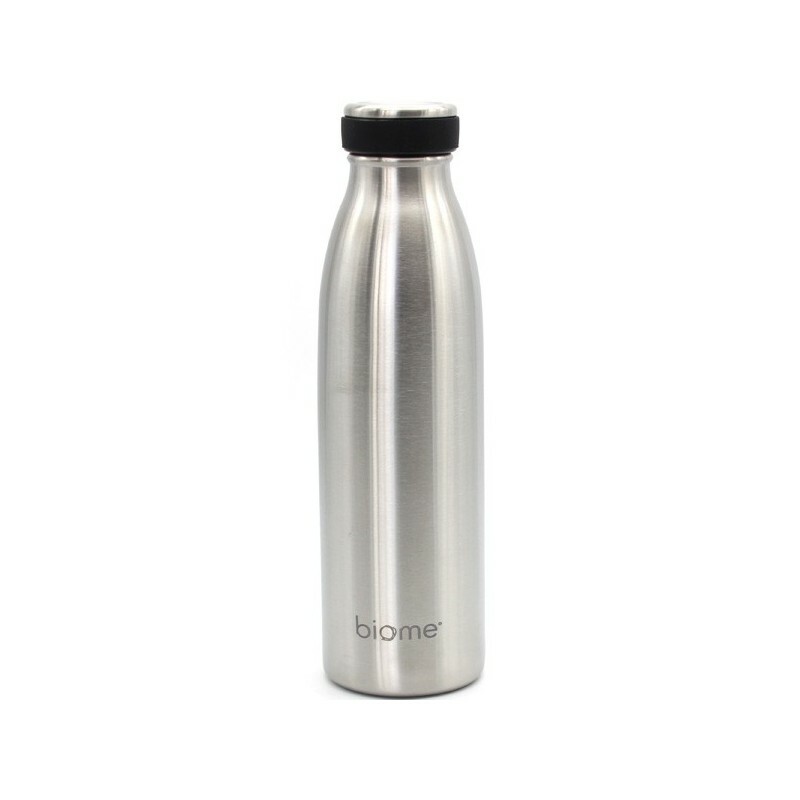 Made from stainless steel, with a small silicone band around the lid. Stainless steel bottles last a lifetime. Ask your local Council about disposing of stainless steel products. 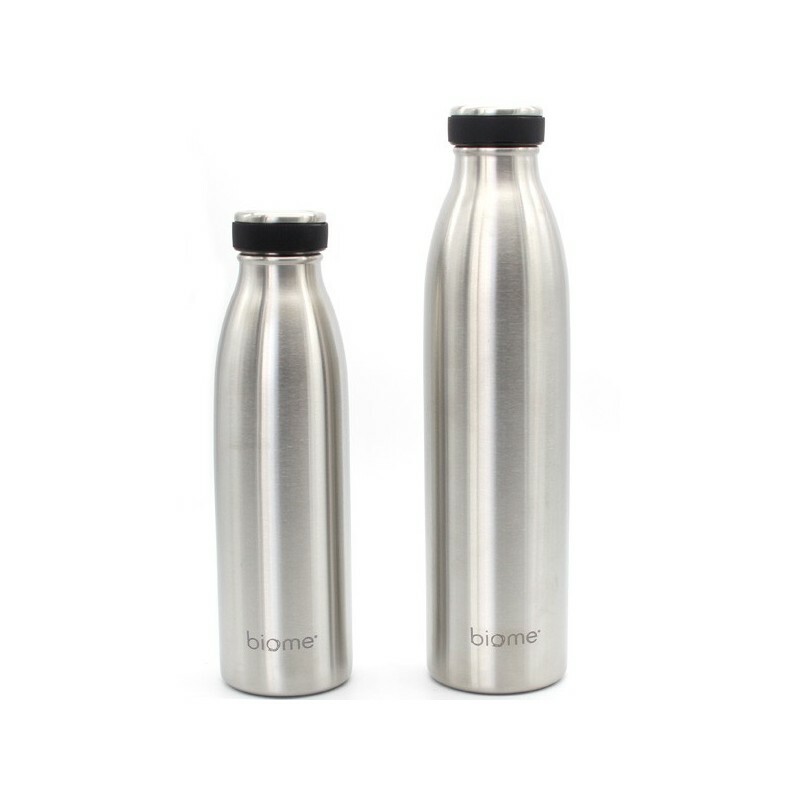 Browse all of our stainless steel bottles. Good size for my kids for school. Love it. Love this bottle for summer- no fiddly parts to replace or clean, no fuss, great insulated bottle! Great size, nice look and feel.